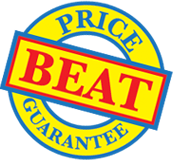 ID or Name Badge Clips and Strap Clips backed by our Price Beat Guarantee. Durable, easy-to-use and offering a variety of styles, our badge clips meet the needs of all types of badge user. Crocodile grip or safety pin attachments give the user a choice when fixing to clothing. Swivelling plastic strap clips with metal snaps fasten easily to clothing and ensure badges always hang horizontally. 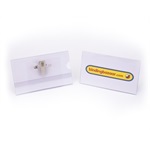 Self-adhesive badge clips are easy to use...simply peel and stick!